Literary sources are the most important component of Delacroix painting. The first place here, undoubtedly, belongs to the English writers. But the original “novel” was in Delacroix and Goethe – more precisely, with his “Faust”. The artist was very fond of this work and created a series of lithographs illustrating it. This series was seen by Goethe and approved of it. 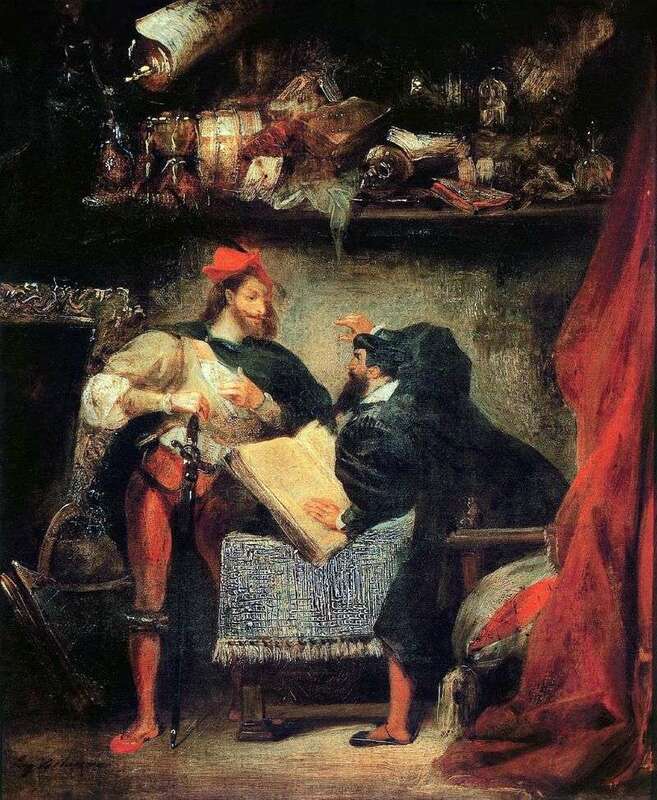 Description and meaning of the painting Faust and Mephistopheles by Eugene Delacroix.